SOA have put up their Free Stuff Friday video, however I’m not going to put it up on this occasion as it’ll just give you motion sickness. 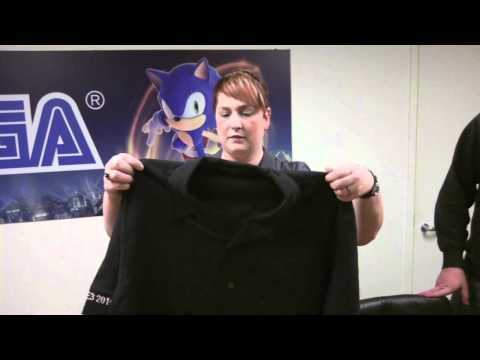 What I will tell you though is that you can expect a rare treat in the form of a Sonic Riders t-shirt I’ve not even seen before (presumably SOA exclusive design) as part of their sixth and final prize which also includes some Archie comics and a somewhat unusual child’s seat belt wrap with Sonic’s smiling face on it. Perhaps one of the more… peculiar licenced items we’ve seen over the years. If you’re not familiar with Free Stuff Friday, want to see the video or see the prize list in full head over to the SOA Blogs here.